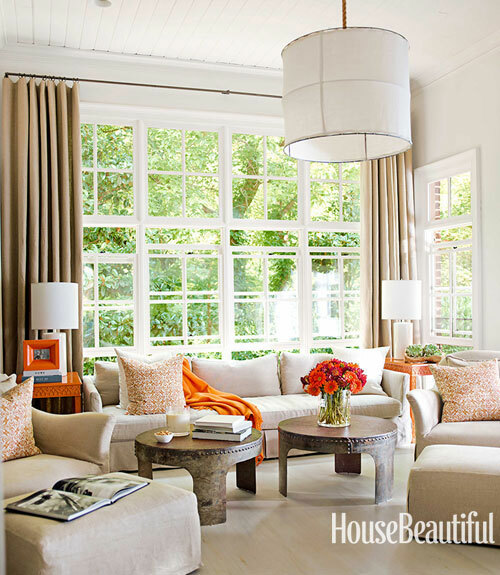 house beautiful | Vim & Vintage - design. life. style. Believe it or not, I’m finally going through my insanely huge stack of magazine subscriptions from 2012… and I just came across this project in the September Color Issue of House Beautiful. When I lived in Florida, I worked in a shop in Seaside that looked practically identical to this pic. That being said, if you ever go to Seaside, you have to stop in Pizitz Home & Cottage! 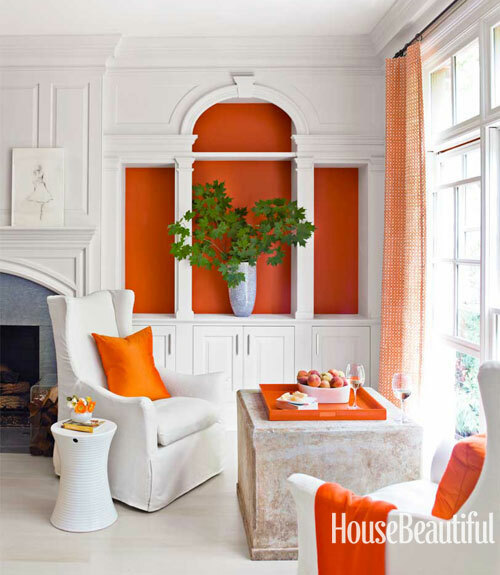 I’m a fan of the bold orange. It gives the space life. 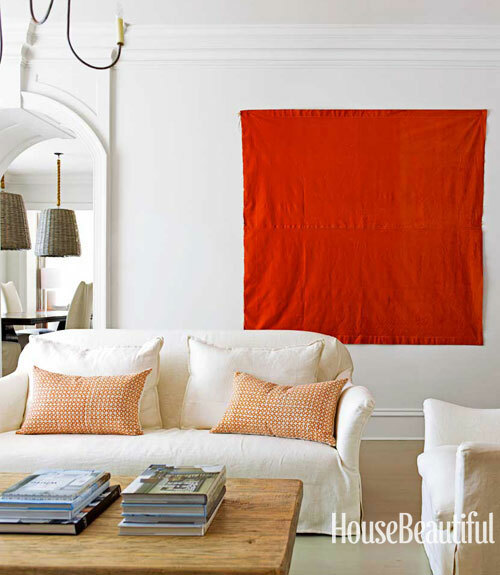 DIY idea: stitch a large square of fabric and either drape on a wall or wrap a canvas with it to create a simple yet striking piece of art. Adding darker tones gives this space a more formal feel. This palette is soothing. Ahhh I could totally relax here. This awesome project was designed by Kay Douglass, who owns the lovely South of Market design shop in Atlanta.